Any expectant parent would likely jump at the chance to see their developing bundle of joy. But while commercial ultrasound businesses might seem like the perfect place to catch a glimpse, the Food & Drug Administration is once again warning consumers that non-medical ultrasounds and heartbeat monitors aren’t exactly safe. The FDA issued an alert today reminding consumers that such devices are designed to be used by trained healthcare professionals, not a tween working part-time at the mall. While ultrasounds can provide needed medical information for doctors when it comes to determining the overall health of an unborn child, the machines can also “heat tissues slightly, and in some cases, it can also produce very small bubbles (cavitation) in some tissues,” the FDA says. Because the long-term effects of tissue heating and cavitation are not known, officials say ultrasound scans should be done only when there is a medical need, based on a prescription, and performed by appropriately trained operators. 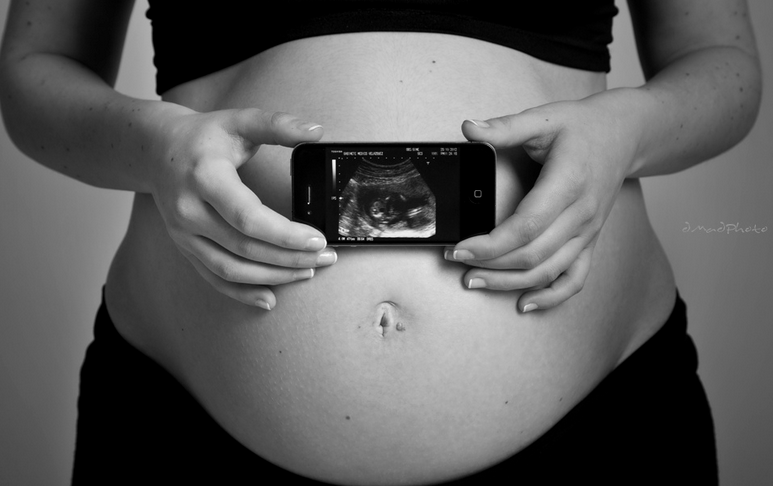 Officials with the FDA say that part of the appeal for commercial ultrasounds is their promise to provide keepsake items for soon-to-be parents, despite the fact that many professional healthcare providers now provide printouts from ultrasound images. And while the FDA recognizes that such imaging may promote bonding between parents and their unborn child, plenty of much safer opportunities are available during routine prenatal care in a doctor’s office. “In creating fetal keepsake videos, there is no control on how long a single imaging session will last, how many sessions will take place, or whether the ultrasound systems will be operated properly,” officials say. As for Doppler ultrasound heartbeat monitors, the FDA warns that the devices are marketed as “prescription devices,” an should only be used by, or under the supervision, of healthcare professionals. Shahram Vaezy, Ph.D., an FDA biomedical engineer, says there is little or no medical benefit expected from the exposure. So, if you were planning to get soon-to-be grandma and grandpa a keepsake key chain of your unborn baby, you might want to rethink your strategy.